SuparTipstar’s UFC best bet record to date is +5.14u for an ROI of 9.33%. 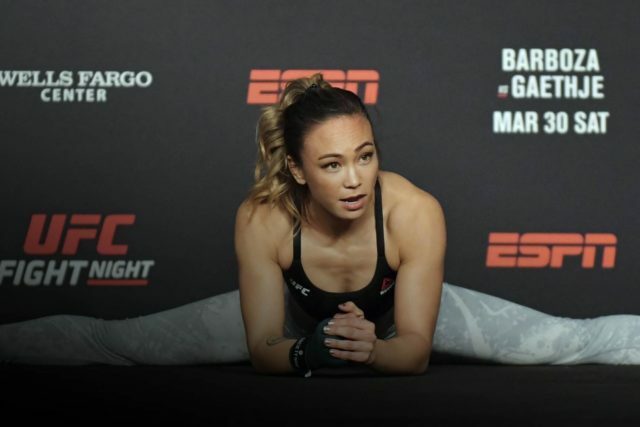 The focus of my best bet tonight is the women’s strawweight fight between Karolina Kowalkiewicz and Michelle Waterson. I see this as a close fight largely contested on the feet. I think Karolina’s volume should give her the edge there despite her lack of head movement, and a style that will make her susceptible to Waterson’s side kicks. I see it a little closer than the line suggests but picking the correct side of a coin toss is unappealing to me in this one. What stands out to me as the biggest discrepancy between the two fighters is their skills on the ground. They are both primarily strikers but they both often have fights that end up hitting the ground (maybe it’s the magic of the head and arm throw?). Anyway, Waterson’s BJJ has been her most efficient way of finishing fights for years even though it is fallible. It may never hit the ground, it may be a simple matter of Karolina outpointing Waterson, but I see this fight as close and likely to visit the ground at points. If it does, Waterson can get that trendy armbar if she’s not feeling the more traditional RNC. My best bet for UFC on ESPN: Barboza vs. Gaethje is Waterson by submission @ 13.0, +1200 (Ladbrokes). This is a 1u bet.